We at Victoria Abadi Therapies understand that someone using substances can affect the whole family and how people behave and relate to each other. Often the family members suffering goes unnoticed or can be viewed as not as important as the ‘addicted persons’. We recognise that the family as a whole, or individual family members can start to become emotionally unwell due to the stress of caring for their loved one who is using. It can often be hard to know if what you are doing is really helping and how much you are being affected by someone else’s behaviours. It is also sometimes difficult to recognise that the family might need professional help as the focus is often on the person using. Some family members may say things like ‘ it’s not me with the problem, it’s his or hers using that is the issue’. It’s hard to accept that their issues impact on everybody around them and consequently family members forget to look after themselves. This can result in stress, anxiety, depression, anger and a sense of hopelessness. 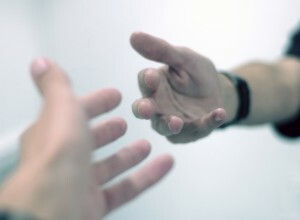 One to one counselling- where you can talk safely to someone about your situation. This is a confidential space where you can explore how you are affected by your loved ones using and look at ways of moving forwards. Family sessions- where the family can come together to sit down and look at the problems and possible solutions with everyone involved. Structured groups- an 8 week structured group to help the family both understand and learn more about addiction and gain support from other families in similar situations. There is great therapeutic benefit in knowing you are not alone with your problems. The group explores ways of staying emotionally well balanced whilst a loved one is using. It aims to teach members about detachment, enabling, codependancy and improve communications within the family. Victoria Abadi has been working in the field of addiction for the past 21 years. For the past 17 years she has been working as a qualified MBACP counsellor. She is very proud to have been part of inspiring change within addicted families for the past 2 decades.